I tried posting an entry about my last harpsichord visit, but somehow it disappeared into limbo. Anyway, I was back again today to tune the instrument in the Wighton centre,Dundee,for the third time in three weeks, and inspite of the humidity,it appears to be holding its pitch better again. 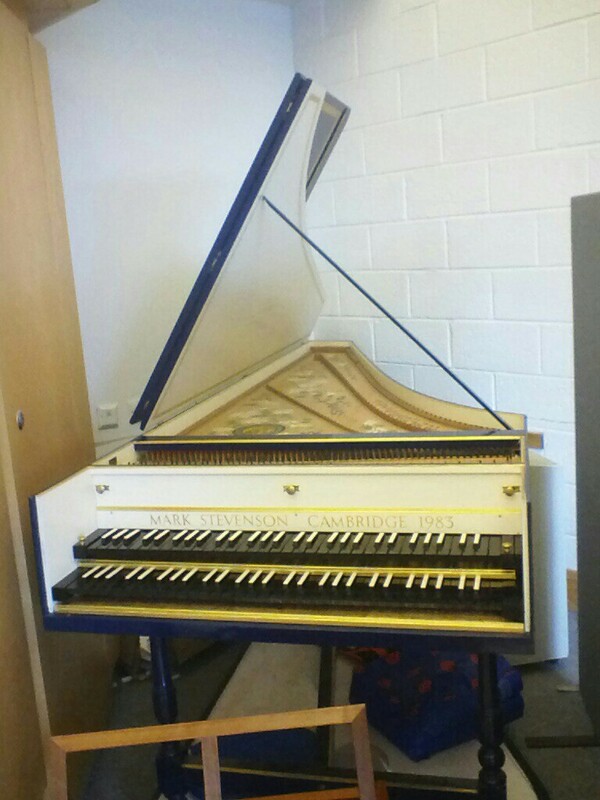 For a number of reasons the Wighton centre does not have a particularly stable temperature, which make keeping the harpsichord in tune a challenging matter, especially as it's a breed of instrument which should really be tuned daily: it's said Bach would spend 15mins first thing tuning his hpschds. As this one normally has at least a week to get out of tune, it generally takes quite a bit longer than that to get it into shape. The instrument is a 1980s reconstruction of a 1720s opus by Nicolas Blanchet. There's something very Scottish about the juxtaposition of this ancient regime instrument and the breezeblock wall behind. 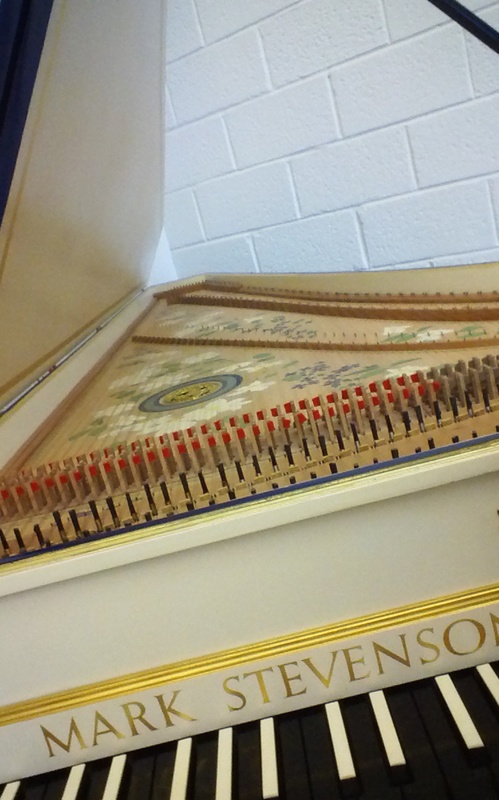 The Wighton harpsichord yesterday morning (24/4/2014) getting ready for tuning and an informal recording session using the SoundCloud App via a Kindle.